we understand it can be an anxious time for you when your pet is ill, and an unsettling experience for them too. However, we can assure you that our compassionate and experienced team, calming atmosphere and excellent well-equipped facilities will benefit you both. 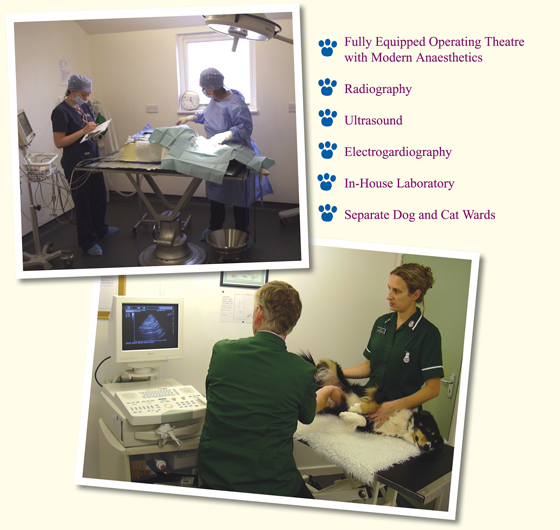 Our advanced diagnostic equipment enables us to identify and treat your pets’ symptoms quickly and accurately.